Consultancy company, Capgemini, has appointed Olaf Pietschner as its executive vice president in the newly created role of chief operating officer (COO) for Australia and New Zealand. Capgemini A/NZ boss Nicolas Aidoud said Pietschner brings with him extensive experience in business, technology consulting and digital transformation. “Capgemini is committed to adding value to our clients and Olaf will be instrumental in driving our offerings in intelligent technology to help our clients improve their competitiveness by delivering growth,” he added. 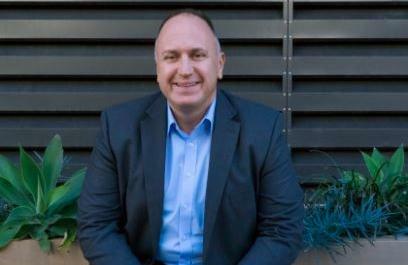 Prior to joining Capgemini Australia, Pietschner was chief information officer (CIO) at Origin Energy and before that, he was at News Corporation as its IT director. Pietschner has history with the company, between 2002 and 2004 he was principal at Capgemini Central Europe where he was responsible for complex and large IT services and outsourcing contracts. "I am very excited to return to Capgemini to be part of what is undoubtedly the most collaborative, innovative and results orientated consulting and technology organisation in the market, and to support our Group ambition for Australia in driving competitiveness and growth,” Pietschner said. "We will drive innovation with our clients to create value for their ongoing digital transformation and to foster top talent in Capgemini." The appointment comes on the back news of a collaboration project for Sydney Water which Capgemini will work with Wipro and Ernst & Young to complete. The company is also part of a panel of service providers which bid for a $5.1 million hardware with the Department of Human Services. The deal was ultimately won by Canberra IT services provider, Forward IT. In December 2016, the company scored a five-year engagement with online bank, Members Equity (ME), with the global consultancy firm tasked with building out the company's digital services capabilities. Terms of the deal - of which the value was not disclosed - will see Capgemini provide application services, quality assurance services, deployment services and infrastructure management services such as cloud, as part of the multi-year engagement. Capgemini senior vice president and managing director financial services for A/NZ, Manoj Khera, said at the time the company will focus on three key pillars as the companies embark on the transformation together. Do Aussies have the cultural edge in digital transformation?